You are at the right place if you want to know the difference between Work Package and Activity. But, why do you want to differentiate between Work Package and Activity? Practically, it doesn’t matter whether you call a Work Package an Activity or vice-versa. At the end of the day, you have to complete the project. The project work will not change because of nomenclature. However, if you are preparing for the PMP Exam then it is important to differentiate between Work Package vs Activity. It is important to understand the definitions of Work Package and Activity before understanding the difference between them. You can refer to Max Wideman Glossary to read some other standard definitions. A WBS is deliverable oriented. A deliverable is an outcome or a result of something. A deliverable provides some value to the project stakeholders. You should read my article 7 Reasons to Create WBS before venturing ahead. Is it possible to differentiate between Work Package vs Activity after reading the above definitions? I think, your answer would be a big No. Don’t get me wrong. The definitions absolutely correct, but they could be confusing for a new-comer. I have seen many Project Management professionals & students alike who find it difficult to comprehend these definitions. We cannot differentiate between the terms just by looking at the definitions. Let us go beyond the definitions to understand the difference. Work Package is a result of an endeavor. a series of actions results in (creates) a Work Package. is smallest level of deliverable. provides some tangible value to the project stakeholder(s). is recognized, required and valued by the project Stakeholder(s). gives a sense of fulfillment & achievement to the project team. provides satisfaction to the the project Stakeholder(s). It is handed over to the project Stakeholder(s), once it is created. Note: Project team is free to create its own WBS and define Work Packages (lowest level deliverables). Some of these lowest level deliverables may be outsourced to a vendor. The vendor could treat such outsourced deliverables as the complete project. Refer to the previous section. I wrote “a series of actions results in a (creates) a Work Package”. These actions are, in fact, the Activities performed by the project team. In simple terms we can say that series of activities creates a Work Package. An Activity, in itself, does not produce any result but a series of Activities results into a lowest level deliverable. Let us take a look at two examples. Software Development Project – Let us assume that project team has created a WBS with software modules as work packages. Integration of all modules will result in the completion of the software product. One such module could be “Module X” – it would be a work package. Project Team will have to perform series of Activities to create “Module X”. These Activities might include Algorithm Writing, DB preparation, Coding, Testing, Integration etc. Project Team might have to repeat these activities until delivery ready “Module X” is created. Building Construction Project – Let us assume that project team has created a WBS with building floors as work packages. Completion of all floors will result in the completion of the Building. One such floor could be “Floor N” – it would be a work package. Project Team will have to perform series of Activities to construct “Floor N”. These Activities might include Floor laying, Wiring, Painting, Inspection etc. Project Team might have to repeat these activities until delivery ready “Floor N” is completed. Let us summarize the difference between Work Package vs Activity. It is one of the lowest level of deliverables in a project. It is a means to create a deliverable. A series of activities results in a lowest level of deliverable. It is the result or outcome of an endeavor. It is one step of the endeavor. It fulfills a portion of project and provides part satisfaction and some value to the project stakeholders. An activity, in itself, does not provide any value to the project stakeholders. A deliverable has a tangible value and it is generally handed over to the project stakeholders. It cannot be handed over to the project stakeholders. It is generally defined using a noun (outcome) e.g. ‘Module X’. It is generally defined using a verb (work to be done) e.g. ‘testing’. Can one man’s Work Package be another man’s complete Project? Yes. e.g. If “Module X” is outsourced to a Contractor, then the performing organization would treat “Module X” as a Work Package and the Contractor would treat it as an entire Project. Can one man’s Work Package be another man’s Activity? Yes. It depends on the level of Decomposition. Different people tend to think differently. Different project managers may define WBS differently for the same project. Are there any hard rules for creating a WBS? No. it depends upon the organizational guidelines, stakeholder preferences, environment, type of project, project manager’s bias and many other varied factors. A WBS is good, as long as it includes the total scope of work. You can also read 2 ways to create WBS. Why is WBS needed at all if the definitions are so flexible? You should read 7 reasons to create WBS. Do you still find work package vs activity confusing? Please leave a comment. I am a PMP aspirant. I understand that the WP is the work defined at the lowest level of the WBS for which duration and cost can be estimated. Does it mean aggregate value of duration or costs of all the activities to complete this WP? I mean the bottom-up approach and it produces only the cost of WP, not the project cost. 2. “Aggregate duration of all WP activities” may or may not be equal to “Duration of WP”. The “Duration of WP” will depend on how WP activities are scheduled. 3. Aggregate cost of all WP + Contingency reserves = Project Cost. When the WBS is developed, what is the approach to estimate its work packages? 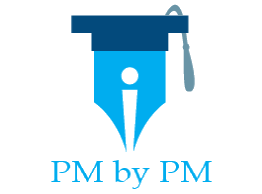 Per PMBOK (when using buttom-up methods) we need first to create a list of avtivities for each work packagess and estimate each of those activities. Such edtimates then roll up to the work package level. But some literature on the subject doesn’t mention esimating of activities first in order to estimate a work package. Instead it suggest to edtimste effort and duration right on work package level. PMBOK Guide does not prescribe any particular method. You should read the definition of Work Package in Glossary section of the PMBOK Guide. It clearly says that estimation can be done at WP level. Estimation can be done at the Project or planning package level also. It depends on the how much detailed information you have about the component you are estimating and how much deep are you willing to go. What is allowed difference between WBS and Estimation, can it be negative value or only positive valus? There is no comparison between WBS and estimation. WBS is a diagram while estimation is done to forecast the quantitative value of time, cost or resources. What is the shortest and longest time for WBS and an activity? Hameed, I would suggest you to read the article again especially FAQs. There could be organizational guidelines for such limits. But generalization is impossible since every industry has different type of projects. You might find some limits in old PM literature but such limits are unnecessary.